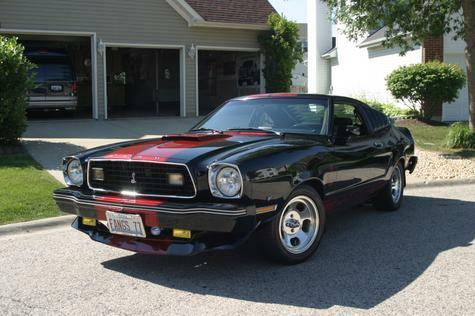 I bought this car in September of 1979 as my first car. I drove it for 10 years as my only car. 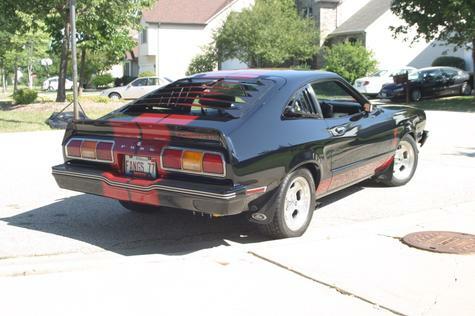 This is a real Cobra II, not a clone although the original colors were gold stripes on black. 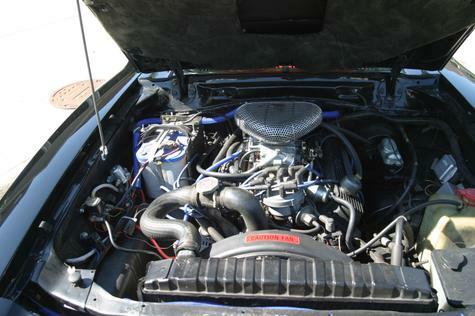 302, Tremic 5 speed manual and 3.55:1 limited slip differential, zoom!!! Completed my "resurection" and modification project in 2009. 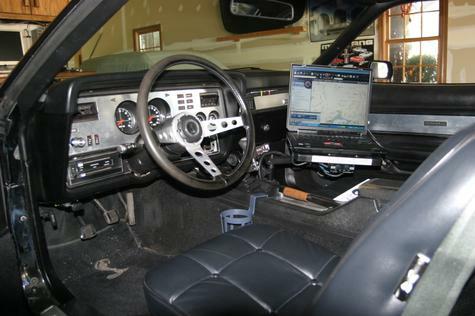 Notebook based surround entertainment and navigation system. A view of the notebook inside. I created a switching/regulater system that allows you to turn on the notebook, amplifier and CB by simply pushing the power button on the notebook. You don't need the key to turn it all on. The 5.1 channel surround card on the notebook feeds directly into a 6 channel amplifier in the back. Rock out with any type of music file or DVD video. With a 1TB storage drive under the passenger seat there are nearly 17k tunes and 25 DVD concerts stored onboard available right from the keyboard. This winter I will be replacing the notebook with a full PC. 4 Farad Capacitor and Surround amplifier in the hatch. All 5 wheels are American Racing slots that are "close" to the originals which I still have. 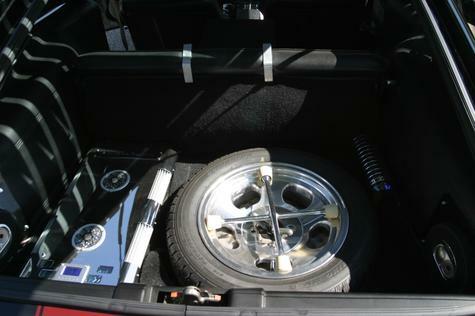 These are 15 inch instead of the original 13 inch wheels which allowed me to put modern performance tires on the car. If you look close you can see the second battery just below the bumper on the right side. It powers most of the entertainment system. To keep the batteries charged I installed a 230amp alternator. 302 with midrise, 570cfm holley 4 barrel and headers dumping into 30 inch long glass packs and exiting out both sides with dual tip resonators. At idle and crusing she gives a nice rumble that's the perfect volume to enhance the ride. Drop the hammer and she really growls. Nice II. I can't waite to paint mine. Once I finnish my coupe my plans are to build a Monroe Handeler. Just need to find a solid fastback to start with. Beautiful car! Love the colors.